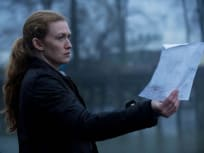 "From Up Here; The Road to Hamelin"
On the season 3 finale of The Killing, Sarah searches for peace after the case but then ends up putting her life in danger when someone close to her is missing. 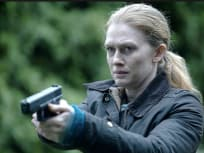 Sarah has to comes face to face with her past while Holder confronts his demons on The Killing. 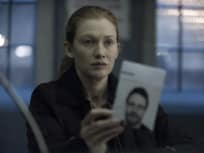 Holder looks for someone to blame when the hunt for the pornographer unearths a secret on The Killing. The investigation becomes intense when Sarah goes missing on The Killing. Bullet takes on a protective role and Sarah and Holder get a major break in their case on The Killing. Sarah and Holder track down the latest victim while Seward must face his past on The Killing. 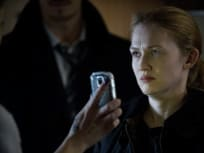 Bullet must hunt down a victim who is on the run while Seward is a lousy host to some unexpected visitors on The Killing. 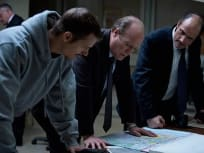 Linden and Holder search for the man who made the tapes on The Killing. 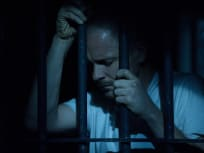 Twitch gets into some trouble and Seward makes a prison friend. Linden and Holder continue to explore the missing girl case and discover clues among the bodies discovered. Ray Seward shows his true colors. 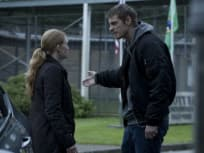 "The Jungle; That You Fear the Most"
In the season 3 premiere of The Killing, a disturbing new case connects back to Sarah's past and Ray Seward reveals his true identity from death row. You don't know me. I break things. Permalink: You don't know me. I break things. Serenity ... sounds like a stripper's name. Permalink: Serenity ... sounds like a stripper's name.